The format for Marriage was an application for a Marriage License Bond. 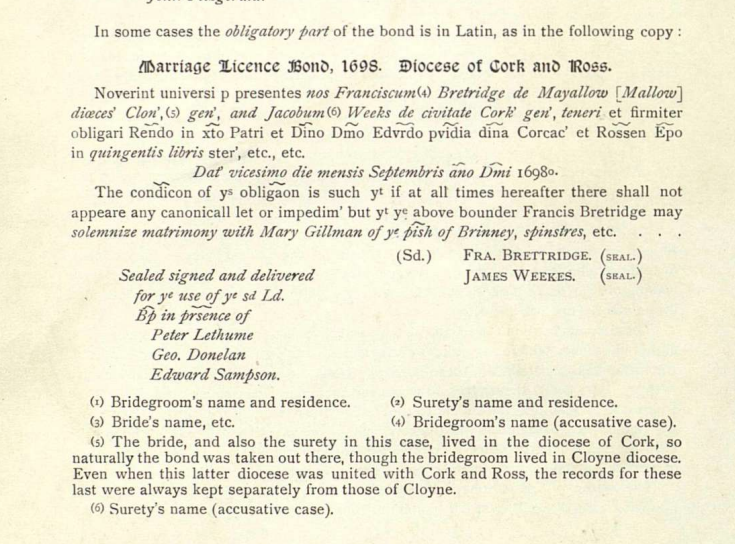 Some Catholics applied for MLBs for legal purposes or because of the Penal Laws and may have got married in Protestant Churches. There are a very large number of ‘Catholic’ names in the surviving registers. 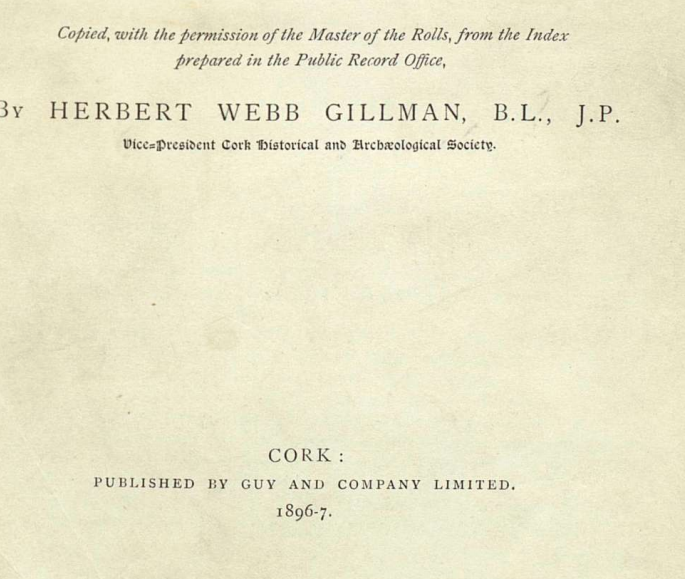 This was expensive and as most Cork Protestant were labourers, artisan or small farmer the popular method was Bans where the proposed marriage was read out three times at service. The litigation arose from the marriage of White/Dillon. Presumable he impregnated her and went through a marriage ceremony. 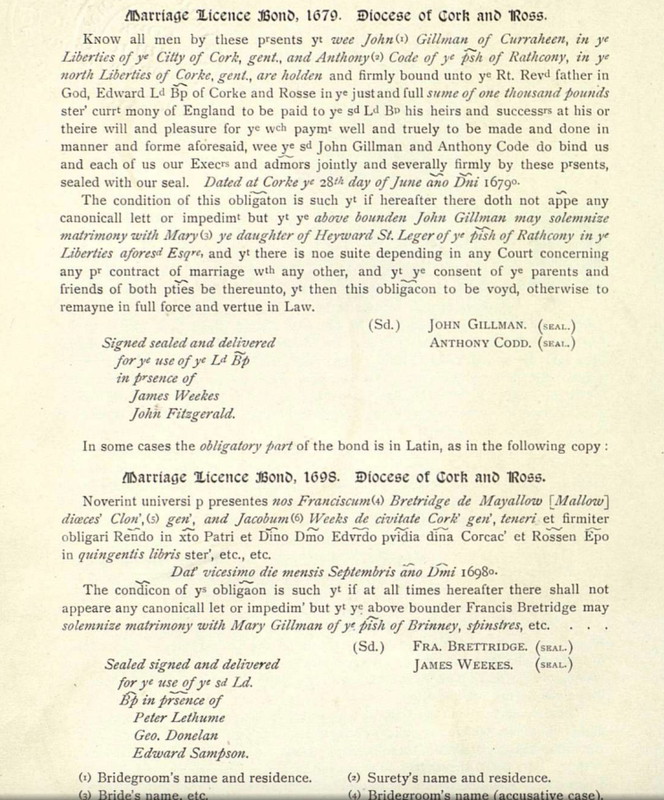 He then applied to re marry and her legal advisors issued a caveat at the Cork Consistory Court to prevent the purported bigamous marriage. A Case to counsel was prepared. The case would have major implication as the proper entitlement of heirs was at stake. This will be posted shortly. The vast bulk of the records were destroyed in the Public Records in 1922.